One of my favorite things to do for a portrait session is to stage it somewhere that speaks to the subject. 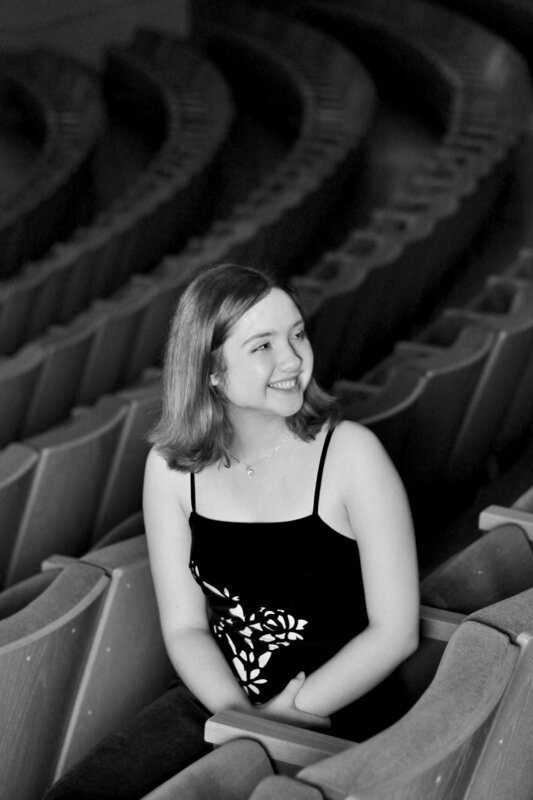 For the first set of Aria’s senior sessions, she wanted to go to the Midland Center for the Arts, because it’s a place where she has had some of her favorite experiences performing. I’m so grateful to the Center for welcoming us! I love the slight Jazz Age vibe this set ended up having. I feel like you could show some of the black and white images to someone and say it was of was a jazz singer from the 1930’s, and they wouldn’t question it.